When you first meet Northumbrian Water’s chief executive Heidi Mottram, you feel as if you’ve known her for years. She is ­welcoming and approachable, and she has no problem giving ­Utility Week an hour of her time for an interview at the ­company’s biggest event of the year. Sitting on a wooden bench in a teepee at ­Newcastle Racecourse, amid Northumbrian’s 2018 Innovation ­Festival, Mottram talks to Utility Week about diversity in the water sector, Northumbrian’s performance, her ambitions for the future, and gives some much-needed advice on how to climb Ben Nevis. Instead, coming from the rail industry, where she had accelerated through the ranks quickly and held several senior management roles – including managing director of Northern Rail, commercial director of Arriva Trains, and operations director of Midland Mainline – people were keen to have her input. Not long before our interview, strong headlines had emerged from unions calling out water company bosses for getting paid “too much”. This, along with Labour leader Jeremy Corbyn’s calls for renationalisation and environment secretary Michael Gove’s criticism of water company financial structures, has put pressure on water companies to prove themselves and their legitimacy. According to Northumbrian’s latest figures, Mottram earned £667,000 in 2017/18. What are her thoughts on whether executive pay is “too high”? Unperturbed by the question, her reply is considered and sensible. “It’s important that we articulate and describe the contribution that we make and the service that’s provided to our customers. It’s clear that Mottram is nothing if not successful. Her rapid rise in rail is evidence of this. Having made a success of a rail company previously referred to as a “basket-case”, Mottram felt it was time for a change of scene and to prove herself in a new sector. In making the change she certainly moved up a gear in terms of size of the operation. Northern Rail – which operates one of the largest transport networks in the UK – turned over £135 million in 2016/17. Northumbrian Water is a decidedly bigger company, whose turnover was £835 million in 2017/18. Her summation doesn’t take into consideration the most recent assessment from the Environment Agency that emerged after our interview, ranking Northumbrian as one of the worst performers. But more on that later. However, that aside, there has been plenty to shout about. Northumbrian came joint top with Wessex and Portsmouth in regulator Ofwat’s 2016/17 service incentive mechanism (SIM) league table, with a score of 88, against an industry average of 84. 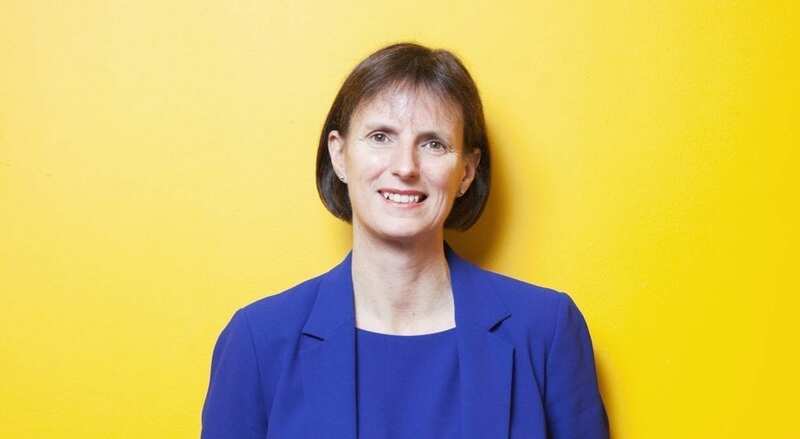 Mottram says she is also pleased with the company’s net promoter score, which was 44 in 2017/18 – the highest in the water ­sector ­(anything over 0 is considered “good”, and 50+ is considered “excellent”). The company was also rated top for customer satisfaction in the Consumer Council for Water’s Water Matters survey, published after our interview. It was out of these workshops that the company’s vision rose: to be the “national leader in sustainable water and wastewater services”. And, as the stats show, it is certainly on the way. Northumbrian was one of a few companies held up as exemplars in a report by Ofwat into the freeze-thaw incident, in which thousands of customers across the country found themselves off water supply during the infamous “Beast from the East”. During the incident, just 0.1 per cent of customers in the Northumbrian region and 0.63 per cent in Essex and Suffolk experienced ­supply interruptions. And, she says, there is still much more to be done to improve performance in certain areas. “We would probably claim to be one of the top companies,” emphasising the “one”. “We were top at SIM [in 2016/17], but across the board, there’s no company that’s good at absolutely everything, everyone’s got strengths and weaknesses.” According to Northumbrian’s annual performance report, its score dropped slightly in the latest SIM to 86.4 in 2017/18 – although official figures have yet to be released by Ofwat. And, as mentioned earlier, there was that less than positive news a few days after our interview that Northumbrian Water had been ranked one of the worst companies for ­environmental performance in 2017 by the Environment Agency. The company scored worst for discharge permit compliance (96 per cent). At the time, wastewater director Richard Warneford insisted that, six months into 2018, with zero compliance failures, the company is ­“confident in turning previous issues around” and is pushing for 100 per cent discharge permit compliance. “We have an ambitious approach to achieving our goals and will be aiming for a four-star rating in 2018,” he said. The company declined to comment further for this interview. However, it did announce, at its Innovation Festival, a £2 million investment in its waterways as part of plans to improve the environment. And how are Northumbrian’s PR19 plans going? “Very well,” says Mottram. Like all of the water companies, it is in the thick of writing its business plan ready for the looming deadline for submission of 3 September. One thing that’s embedded in Ofwat’s methodology for PR19 is communication and conversation with customers. Mottram claims this is something Northumbrian has been doing for years, but says the regulatory process focuses the mind, as it means having to document it in an “Ofwat-friendly” way. So far, she is pleased with the outcomes of conversations with customers, which have been “very reinforcing”. “It proves to us that we are very well-connected with our customers, and we do know what we’re doing and we’re not stupid,” she says. What is Mottram’s vision for the future of the water sector? That the country will be able to rely on the sector for a resilient and reliable supply of water? “I was really pleased when the water sector did a national water resource management plan because I thought that was really important,” she says. “We need to think long term – there’s a combination of developing water resources but also demand management as well.